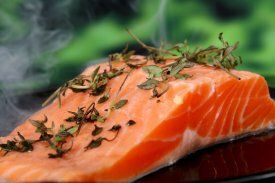 Wild caught fish like the Wild Sockeye Salmon and Alaskan Cod are rich sources of Omega 3's. 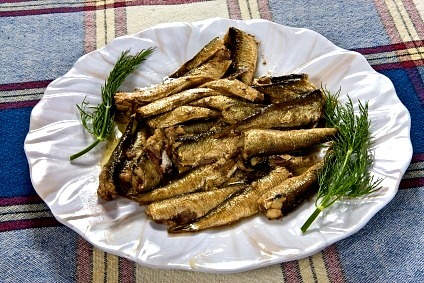 And some of the Best Sardines come from Portugal which are also very high in Omega 3's. 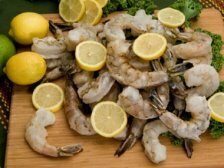 Eating more wild caught fish can be a very smart and healthy choice. This type of fish will help to ensure that you get the "right" nutrients found only in nature. Looking for the World's Finest Sardines or Best Sardines? Portugal produces the most pure, delicious sardines available. 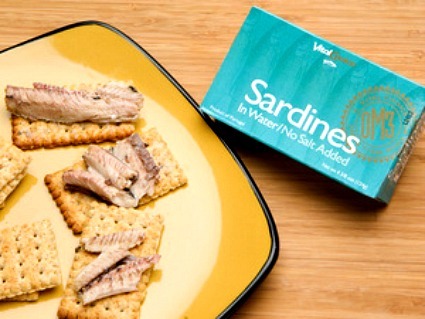 Our newest Portuguese Sardines are packed in spring water, with no added salt or oil. They are custom packed when omega-3 levels are at their highest, by a family that has been harvesting Sardines for over a century. This wild caught Alaskan Sockeye Salmon is certified sustainable and Kosher. In addition to its rich taste and lean, firm texture, wild Alaskan Sockeye Salmon naturally provides abundant protein, Omega 3's, Vitamin D3, and Astaxanthin (a powerful antioxidant). 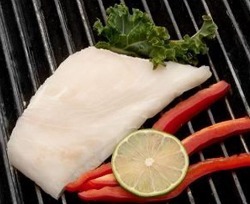 Certified sustainable Wild Alaskan Halibut is light and lean, with a wonderful fresh flavor and delicate texture. 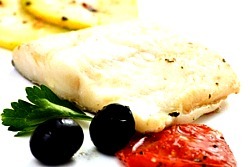 Sourced from only the smallest, purest Halibut available, this versatile fish is sure to please. This succulent Alaskan cod or sablefish is harvested off the coast of Alaska and is certified sustainable by the Marine Stewardship Council and certified Kosher. One 4 ounce portion contains a whopping 1.6 grams of Omega 3's and 15 grams protein. One bite of this tasty Sockeye Salmon Burger and you will be hooked. 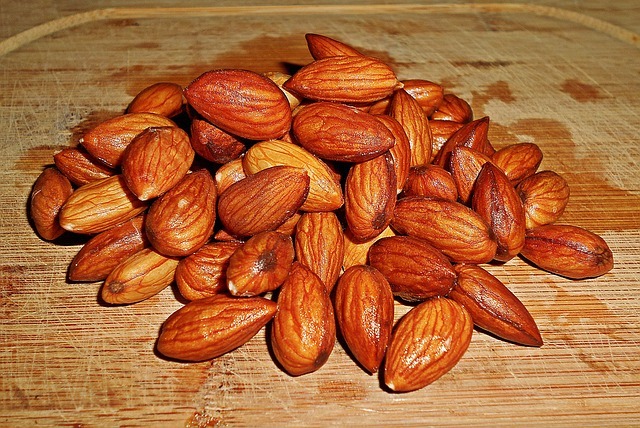 Not only are they good, but they are free of gluten, soy, sugar, corn, wheat, eggs, dairy and MSG! 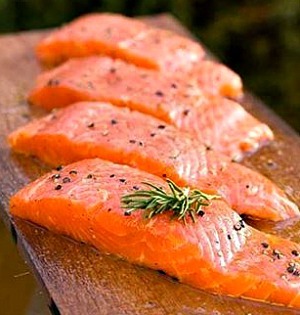 Salmon is one of the best sources of heart healthy omega-3 fatty acids (1320 mg per burger!) and these quarter pound burger patties are an easy way to get your daily intake. Wild Red Skinless Boneless Canned Salmon. 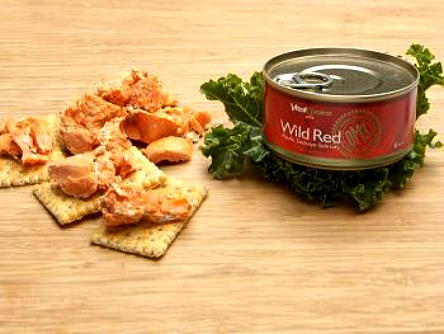 The rich red color of its luscious meat and brimming Salmon oil reveal the rare culinary and nutritional quality of Vital Choice Wild Red Sockeye Salmon ... skinless, boneless, Kosher, sustainably harvested and packed in an easy-open can. Wild Red Boneless Skinless Pouched Salmon. 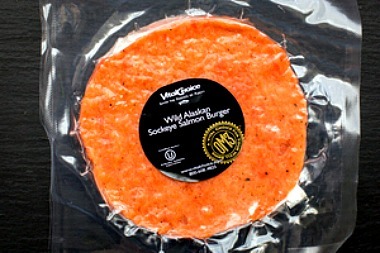 Wild Alaskan boneless/skinless Sockeye Salmon available in a durable, convenient pouch. 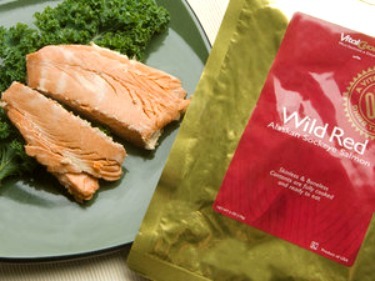 Each foil pouch contains one fully cooked wild Sockeye portion and a pinch of sea salt. Albacore Tuna - No salt or oil added. 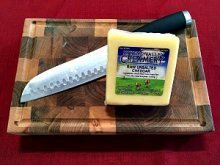 Looking for an alternative to Albacore Tuna with olive oil? This is it - packed full of Omega-3's, sustainably caught, with minimal mercury levels, Albacore Tuna without salt or oil added is sure to please. Tests show that Vital Choice Albacore contains 1/3 less mercury than average 'light' tuna and 3/4 less mercury than average canned tuna. Our firm, fresh-tasting Albacore Tuna is sustainably troll-caught and flash-frozen on the boat to preserve freshness. 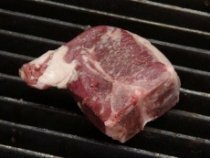 It is cooked only once to preserve its firm texture, fresh taste, and abundance of omega-3's. Atlantic Mackerel in Water. Your search for delicious Atlantic Mackerel ends here! This Mackerel is a product of Portugal, certified sustainable and packed in an easy-open can for your convenience. Vital Choice's Mackerel is delicious in salads and sandwiches, or enjoy it solo, right out of the can. No matter how you make a meal of this delicious Mackerel, it provides a healthy, brainy, omega-3-rich boost to get you through a busy day.